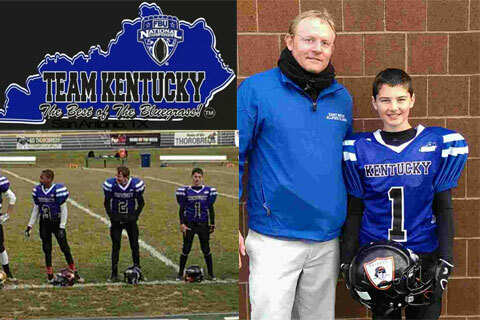 Mason Molique (Kicker, Saftey) and Thomas Novakovich (Linebacker, Safety) from the Union Raiders (Ryle) represented NKY Middle School football in the KYMSFA East-West All Star Game this past weekend. They were the only two players from NKY. Molique was 3 of 4 on PAT's for the East and they went on to win 27-6. They play again this weekend in Nashville against Arkansas in the first round of the National Championship Series. Both Mason and Thomas attend Gray Middle School.